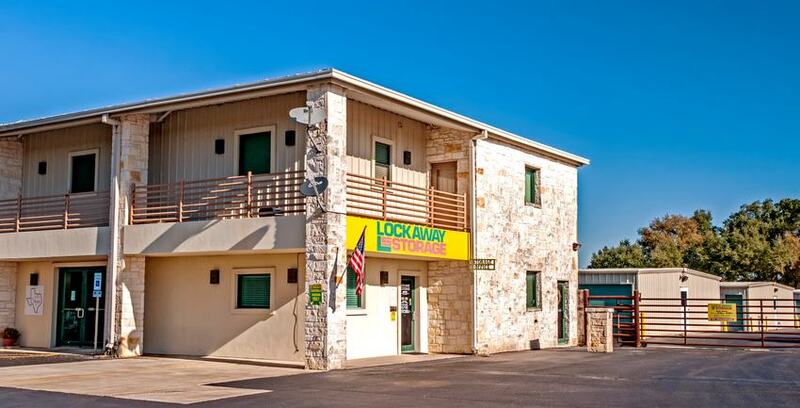 Lockaway Storage is Texas’ self storage solution. With dozens facilities in San Antonio, Texarkana, and the surrounding metro areas, Lockaway Storage is committed to providing the right kind of storage to meet your unique situation. The majority of our facilities are located in and around San Antonio, TX. This includes the communities of Boerne, Schertz, Converse, and Leon Valley. In an effort to make your self storage experience as positive as possible, our portfolio features locations that are conveniently located near the most popular highways and neighborhoods. In every community we serve, we strive to be a good corporate citizen. Our management team lives near the facilities where they work and are passionate about growing inclusive, vibrant neighborhoods. Throughout the year our team participates in a variety of charitable endeavors, including work with the San Antonio Food Bank that raised more than 50,000 meals for families in the summer of 2018. We also support the Texarkana Fallen Bikers Memorial Wall, as well as a host of other local charity organizations. Our team of professionally trained self storage managers are ready to handle anything related to your storage rental. They are knowledgeable about all things storage and can help you save time and money. If this is your first time using self storage, you may have needs you don’t even know about. Leather, wood, and cloth items can all be susceptible to wear and tear over time and our team knows how to keep your belongings like new. From drive up access to climate control, you can talk with your facility manager about anything related to storing your stuff. If you aren’t sure what size unit you need, use our self storage size guides to get an idea before touring the facility. Know that when you get here we will have all of the dollies, carts, and packing supplies you’ll need to make yourself right at home. The Lockaway Storage team also holds dozens of customer appreciation events throughout the year. Depending on the event’s theme, you can treat yourself to all kinds of sweets, snacks, and drinks. Be on the lookout for our famous prize wheel and a chance to win money off next month’s rent! Strat Property Management Inc.(SPMI), our parent company, believes company culture can make the difference between a good self-storage community and one that is great. With that in mind, we believe in these five STRAT values. The life events that lead to needing self-storage can sometimes be difficult: moving, upsizing, downsizing, coming home from college, leaving on deployment, divorce, the passing of a loved one, and various home disasters can cause the need for additional space. Lockaway Storage is here to make those moments easier. We have a very experienced team of professional managers who are ready to listen, understand your needs, and exceed your expectation. Our facilities have every storage amenity you could need. Let us make the next time you need self-storage easier and more convenient than it’s ever been. Call or stop by today!